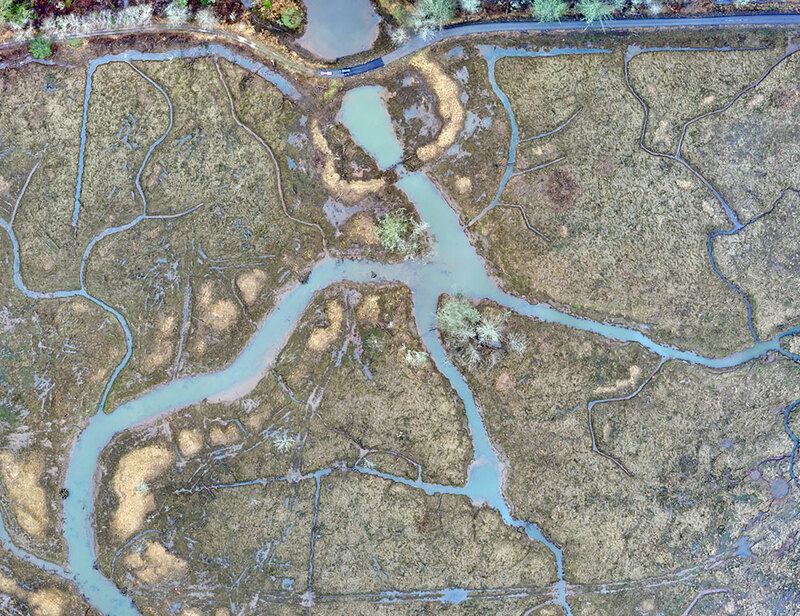 The accredited Columbia Land Trust flew a drone over a swamp restoration project and got a lot more information than it could have collected by sending its stewardship staff wading and clambering through the wet terrain. In 2014 the trust took on an ambitious project to recreate Sitka-spruce swamp habitat on the site. Two years later staff wanted to gauge their progress. Were the channels they dug restoring wetland conditions? Were the native species they planted holding out against invasives? Had heavy rains and floods altered the topography? The 163-acre property was challenging to assess from the ground, but aerial photos or satellite images wouldn’t provide the level of detail they needed. And Lidar, an imaging technique using laser pulses from an airplane, is costly. So they tried something new. The accredited land trust partnered with Sitka Technology Group, a Portland-based company specializing in environmental management technology, to fly an unmanned aerial vehicle (UAV) over the property. The drone took 1,600 high-resolution photographs along with geospatial data, like distance and surface elevation. All of this information was stitched together into a highly detailed, 3-D representation of the landscape. Read the land trust’s blog about the experience here.